Diego Costa ended his lean streak with a double as Premier League leaders Chelsea beat Southampton 4-2 to restore their seven-point advantage over Tottenham. Cesc Fabregas, Costa and Eden Hazard were substitutes in last Saturday's FA Cup semi-final win over Spurs, largely because of the proximity of this fixture. And all three were instrumental as Antonio Conte's side moved within 12 points of the title with five games remaining. Hazard scored Chelsea's first following a Fabregas through-ball and Costa lay-off. Gary Cahill, back after gastroenteritis, headed in Chelsea's second to give the hosts a half-time lead after ex-Blues midfielder Oriel Romeu netted for Saints. And Costa notched his 50th Premier League goal from a Fabregas pass to end a seven-match scoreless run early in the second half and added a late fourth before Ryan Bertrand's late consolation. Chelsea's prospects of a double in Conte's first season as head coach remain alive. Tottenham play their game in hand on Wednesday at Crystal Palace and have the more challenging run-in on paper. Chelsea play Arsenal in the FA Cup final on May 27 and will hope to have wrapped up the league by then, with Sunday's trip to Everton the most difficult proposition in their final five games. The Blues had lost two of their previous four league games - to Palace and at Manchester United - but shook off the wobble at Wembley. Yet there were more anxious moments to come against Saints, whose pace and ingenuity troubled the Blues. This was Chelsea's first home game since it was announced that John Terry would be leaving in the summer following 22 years of service. The club captain came off the substitutes' bench for his 714th appearance and first in the league since November. Terry, who has won 14 major trophies at Chelsea, could finish the season lifting more silverware. Southampton were playing for the first time in 10 days, since a 3-0 home loss to Manchester City, and Conte had complained about Chelsea's schedule. His decision to start Hazard, Costa and Fabregas on the bench against Spurs was vindicated, as was the call to restore the trio - and Cahill - to the starting line-up here. Five minutes in, Fabregas' long ball found Costa, who delayed and laid the ball off for Hazard to shoot first time across Fraser Forster. It was the Belgium playmaker's 15th Premier League goal of the season. The trio combined again soon afterwards and Hazard curled over. Chelsea's lead lasted just 20 minutes as they conceded for an 11th straight league game. Manolo Gabbiadini turned a corner back into the six-yard box and Romeu tapped in. The midfielder, back from suspension, was prior to the match compared by Saints boss Claude Puel to N'Golo Kante. 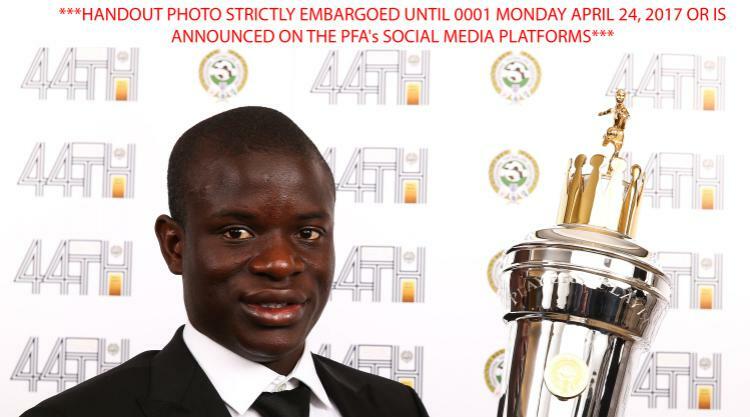 Kante, the newly crowned Professional Footballers' Association player of the year, soon showed his brilliance. He weaved by three Saints players - including Romeu - in the right channel, but his cross towards Costa was intercepted. Chelsea took a half-time lead when Saints failed to clear. Kante returned the ball towards Marcos Alonso who headed back across goal and Cahill rose above Costa's acrobatics to head in. Costa left the field at half-time squabbling like schoolboys with Jack Stephens, but soon had the goal he was so desperate to claim. Hazard drove at Saints down the right before passing to Fabregas. And Costa held off Bertrand to head in Fabregas' pin-point cross, claiming his half-century of Premier League goals in 85 appearances. Southampton would not roll over and Conte repeatedly urged his defenders to stay focused. Forster spread himself to deny Kante on the counter before Conte called on Terry for the final four minutes for his first appearance since the FA Cup win at Wolves in February. Terry was roundly cheered and there was further delight for home fans when Costa exchanged passes with Hazard, then Pedro, before driving the ball in. There was still time for Chelsea to concede a second as Cedric Soares' cross was headed in by ex-Blues man Bertrand.